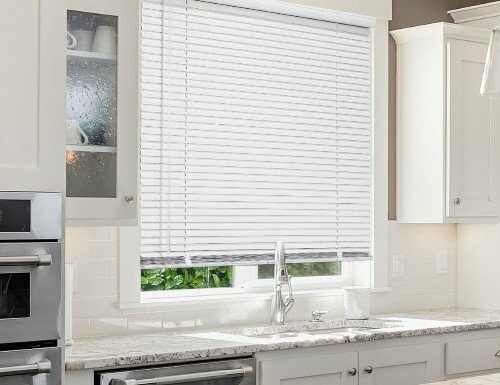 Blinds Chalet is proud to offer a unique cordless blind. This aluminum mini blind offers cordless options for both lifting the blind as well as tilting. Simply raise and lower by use of the bottom rail. No dangling cords! Perfect for child and pet safety. 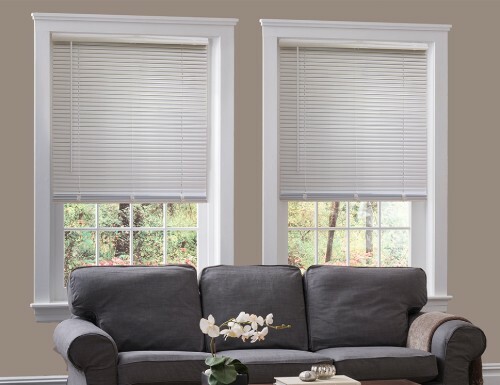 Below is a list of the blinds and shades that are available with the "Cordless" upgrade. You must select the upgrade when you add the item to your cart. Additional fees will apply for the upgrade. 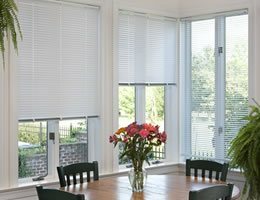 How to convert cordless blinds? Unfortunately most blinds are not able to be converted to cordless. Due to the style of headrail and the different mechanisms it is not something that can be swapped out. We would be happy to help you find new cordless products to suit your needs. What is a cordless window blinds? 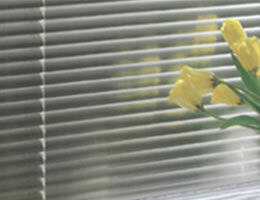 A cordless window blind is a blind that is raised and lowered by hand. They are an excellent option for child safety because there are no cords hanging in the window. Most cordless blinds can be raised and lowered with your hand. You push up on the bottom rail to raise it and pull on it to lower it. Typically they will have a wand to tilt the blinds back and forth. In order to raise your cordless blinds, you simply take your hand and push up on the bottom rail. Sometimes they will have a button that you push and hold while raising it as well. In order to lower it, you would pull the bottom rail and/or hold down the button while lowering it. How do cordless blinds work? Cordless blinds operate without lift cords. They are simply pushed up on the bottom rail with your hand to raise them. You then pull the blinds down by hand to lower them. Closing cordless horizontal blinds are easy. Since they do not use cords to raise and lower, all you have to do is grab the bottom rail and pull the blind down to the bottom of your window. It is that simple. 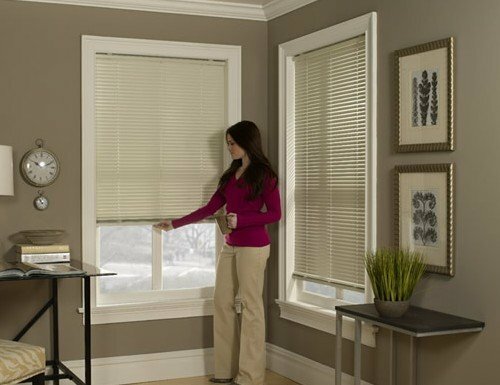 With a cordless horizontal blind, you do not have strings to raise and lower them. You use the bottom rail to pull the blinds down. You also use the bottom rail to push the blinds up. The cordless upgrade is a great feature if you have children or pets. To raise a cordless horizontal blind, you use the bottom rail to push the blind up. It is that simple to use. You are also able to control the position that you want them to stop at. You can have them all the way up, all the way down or anywhere in between. How do I "unjam" my cordless blind? Lifting and lowering the blind evenly with one hand on each side (keeping the blind level regardless of if they start out off center) a few times can easily fix the issue. 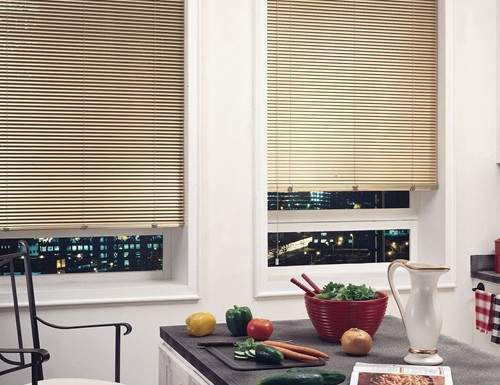 How much do cordless blinds cost? 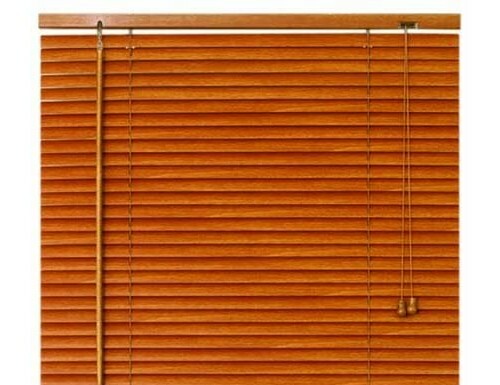 The costs can very from product to product, but are pretty close to the price for corded blinds. Especially if they are custome made. Faux wood and aluminum mini blinds tend to be the less expensive option. Buying online tends to be less expensive. 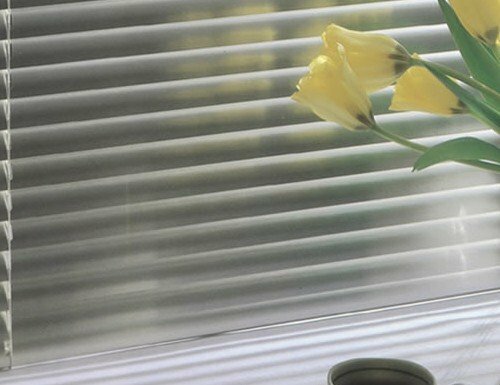 Are cordless blinds better than corded? Cordless shades are safer then corded shades. This is something you may prefer for safety of children, and pets. Customers often prefer the look of cordless shades since there are less cords visible.